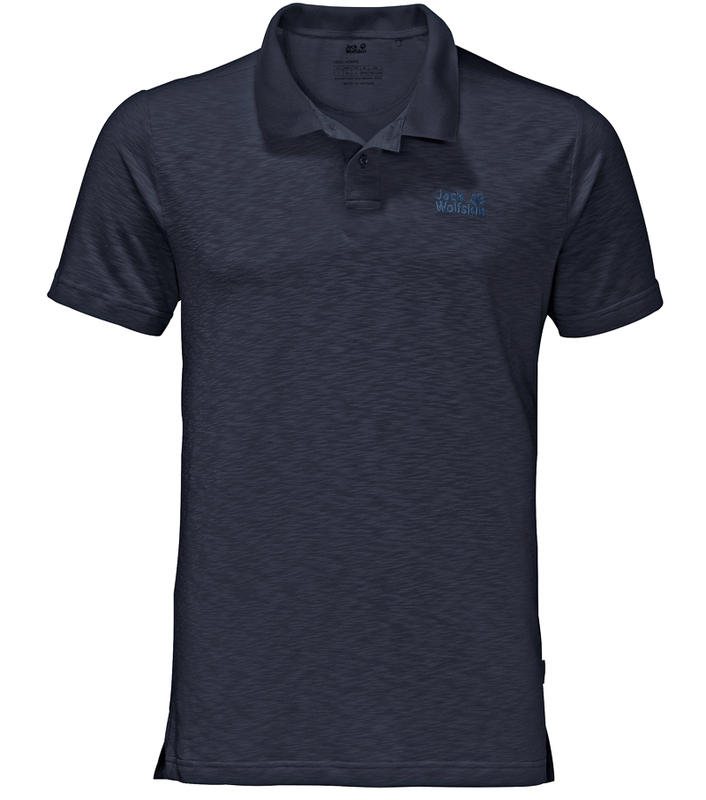 This polo shirt from Jack Wolfskin is ideal for travel, leisure or everyday wear. In a classic design in jersey knit fabric with slubbed yarn structure it features a ribbed collar and side splits. The fast drying fabric is designed with active moisture management properties, and is specially treated to reduce unpleasant odours.